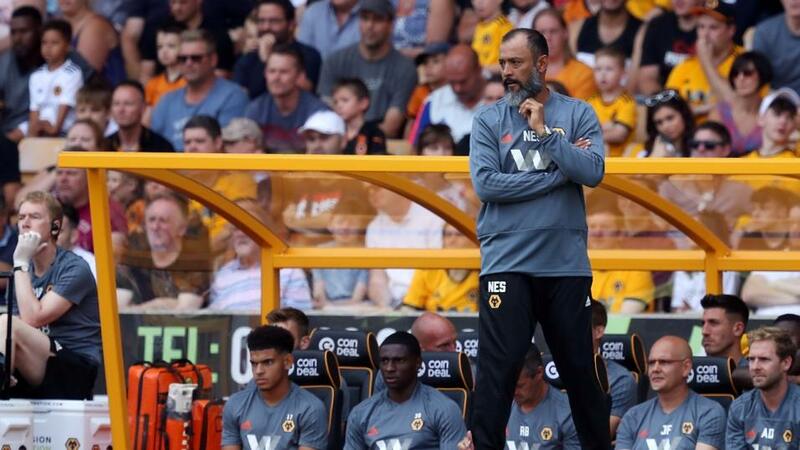 Wolves have made a sensational start to the Premier League season and only four promoted sides have ever earned more points from their opening eight fixtures than Nuno Espirito Santo's side. Since losing their only Premier League fixture this season, away at Leicester two months ago, they're unbeaten in their last six (W4 D2) and in all competitions, they've conceded just one goal in their last seven games - away at Old Trafford in a 1-1 draw. They drew 2-2 at home to Everton on the opening weekend of the season and 1-1 with Manchester City at the end of August but they won both of their next two home fixtures - against Burnley and Southampton - and it's easy to see them remaining unbeaten at Molineux and winning three-in-a-row there for the first time in the top -flight since November 1980. Well-touted before the season began, last year's runaway Championship winners have lived up to the hype in fine style and having begun the season as odds-against chances to finish inside the top-ten, they're already up to seventh and trading at less than [1.3] in the Top 10 Finish market. Having won their opening four Premier League fixtures, earning Javi Gracia the Manager of the Month award for August, Watford's form has dropped off a cliff. Since beating Spurs at the beginning of September, the Hornets have picked up a solitary point at Fulham but they've been beaten at Arsenal and at home to both Manchester United (1-2) and disastrously to Bournemouth last time out. Christian Kabasele getting sent off for the second time in three games didn't help matters any but even with 10 men, a 4-0 drubbing to the Cherries at Vicarage Road was an extremely disappointing result. Watford are only the second team in Premier League history to fail to win any of their next four games after beginning the season with four straight wins. Sheffield Wednesday won their opening four fixtures in 1996 but didn't win again until the middle of November! A run of eight straight matches without a victory. Hornets fans will be hoping they don't have to wait another month but it's not a good omen. The international break may have come at the right time for Javi Gracia's charges but this looks like a tough fixture to return to with confidence running low. Wolves are the first team in Premier League history to name an unchanged line-up in each of their first eight fixtures and Santo's decision not to meddle is paying dividends. They're extremely well-organised as a result and any team that concedes just once in seven starts commands plenty of respect. It's very hard to see Watford becoming the first side to get three points at Molineux this season, especially given they've won just one of their last 17 league visits there, and it seems only the Manager of the Month curse can halt Wolves' progress. Santo, unsurprisingly, was granted the award for September and that's been something of a curse for teams outside the 'Big Six' over the last few seasons. See Gracia's Watford for starters! Wolves are clearly very hard to beat but they're not especially prolific. In 10 games in all competitions they're yet to find the net more than twice and incredibly, each of their last eight Premier League goals have all come in the second half. Wolves' modus operandi has, so far, been rather predictable. They keep things tight early on, go in level at halftime, and then push on for a narrow victory in the second half. In their 10 ties so far this season they've been drawing at the break eight times and it's been 0-0 at halftime on seven occasions. Under 2 ½ Goals is odds-on and that's not a surprise but given those stats, the 15/8 available for Under 0.5 Goals in the first half looks well worth taking. As much as I fancy their chances, given the stats for the season so far, playing Draw/Wolves at 7/2 in the Half Time/Full Time market makes much more sense than taking the odds-on in the win market and given they've won three of their last five Premier League matches 1-0, anything in excess of [7.0] on the Correct Score market looks decent for that score line too. If you fancy combining two or more scenarios to build a bet that pays a bit more, click on the Same Game Multi tab at the top of the Sportsbook market and pick two or more selections to build a wager. For example, combining a couple of my fancies in a Same Game Multi - Under 0.5 First Half Goals and the 1-0 score line for instance - pays £11.46 for a £1 stake.